Good news, everyone. 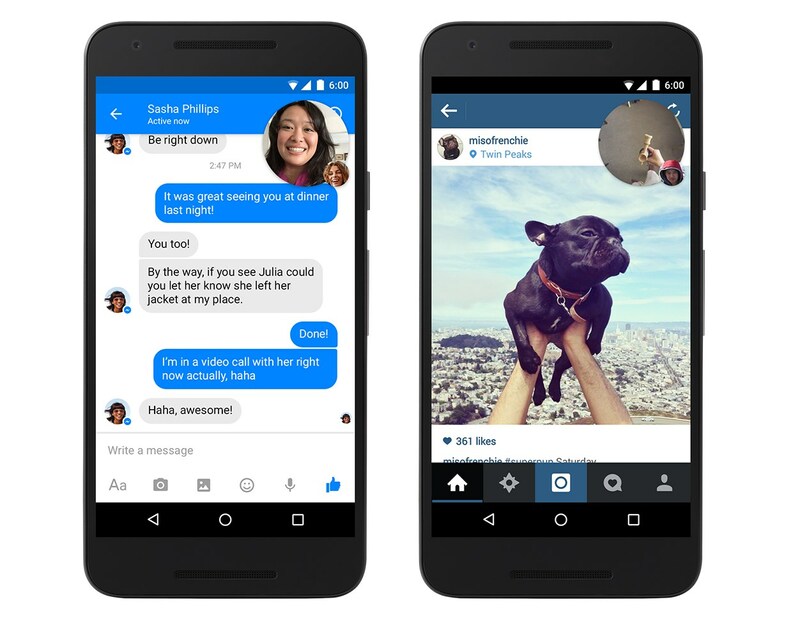 Facebook Messenger has two new features! The first inches it (as happens to all messaging apps) one step closer to just emailing someone: you can now pop files from your Dropbox account directly into conversations. Just hit the “More” button in a conversation as if you were going to drop in one of those horrible Bitmoji. Dropbox should be right there, and you’ll be able to go through your files and directories. Photos and videos will appear instantly in-chat, while the others will act as links to the Dropbox app (or, failing that, the web location, as if you’d shared it from your desktop). So Facebook won’t be hosting your sensitive PowerPoints and PDFs, just linking to them. Should help reduce friction and keep users in-app under a greater variety of use cases. Facebook actually made a file-sharing solution for Groups back in 2012. Josh said Dropbox should “worry about growth,” which is always good advice, but in this case the worm has turned. Next up: Video chat now has the option of switching to a persistent “Chat Head” interface rather than full screen. On Android, that means you’ll be able to have a floating video chat circle on-screen follow you anywhere on your phone — perhaps even to different video chat apps. 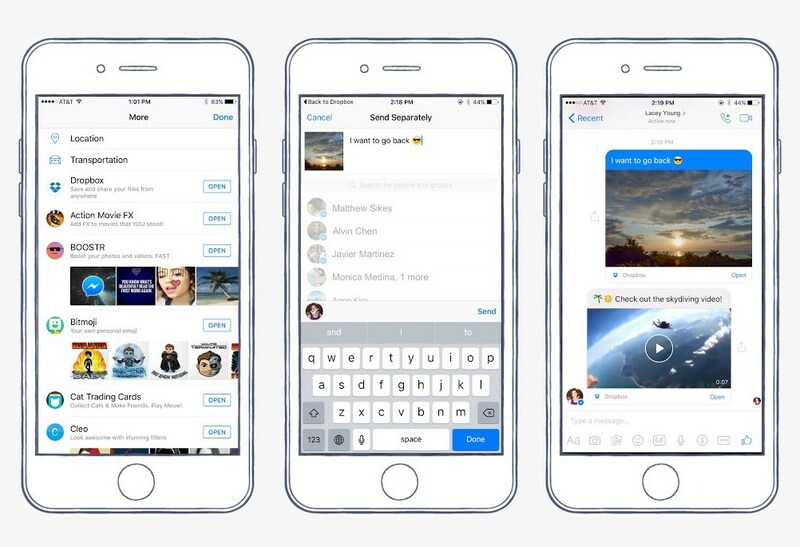 iOS users will have to stay inside Messenger, sadly. Both features should be available within a few days, so watch for updates.